Although it may seem to a pleasure to shop for your baby and prepare the baby’s room throughout the 9 months of your pregnancy, preparing a healthy and beautiful baby room can be a very difficult process. When buying a bed for your baby, keep in mind that it should be durable and reliable, should increase sleep quality, does not interrupt your baby’s sleep and provides the freedom to comfortably turn around within it when she is asleep. 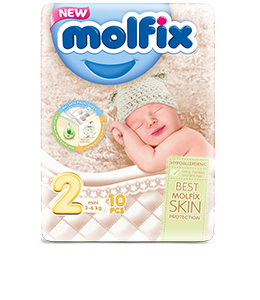 This is more important for the health of your baby, rather than whether the bed looks elegant or the bed covers have pretty embroidery. What to look for when preparing the baby’s room? ● Try to select a room that receives sunshine, has clean air and is free of noise. ● Take care to decorate the baby’s room in light tones. ● Fix the wardrobe and any units that may fall over to the wall. ● Place the baby bed in a manner that allows you to check the baby’s position from the doorway. ● Take care so that frames, baby monitor, music set and similar products are not over the baby bed. ● or choose wall mounted or ceiling mounted ones for lighting. ● Prefer the use of materials that are not toxic with regards to furniture. ● The furniture used must have water based paint. ● Using childproof locks on the drawers of furniture prevents small accidents from happening at home. ● Wardrobes and chests should have gaps that allow air to circulate in order for them to be safe for children. ● There should not be any pieces on baby furniture that can be removed and swallowed. ● Bed covers and sheets in the baby room should be manufactured from 100% cotton clothes and allow air to pass through. ● You should choose a bed that will support vertebral column development, that is made of customary natural materials such as cotton or wool and that is of medium firmness. ● Wallpaper should be air permeable and wipe-clean.